Desi Smith/Staff photo. 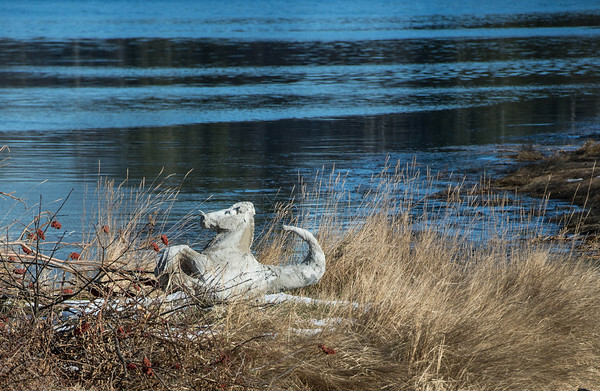 A sculpture of a horse made from wire and motar, sits in a grassy area along the river just off Concord Street in W. Gloucester Thursday afternoon. January 28,2016.